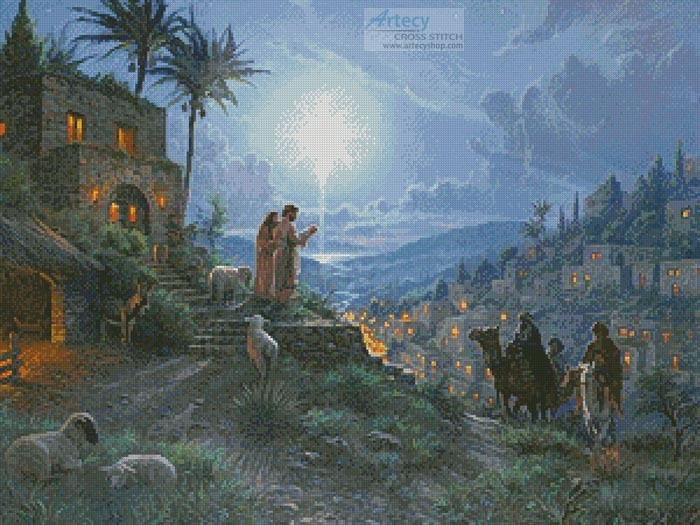 Reviews: The Light of the World Painting Cross Stitch Pattern to print online. When I saw this pattern it took my breath away, I just had to have it. From Mary and Joseph holding up the Christ child to the star of Bethlehem, the travelers and the angel shapes in the clouds this is a wonderful depiction of the true story of Christmas. Artecy always has quality patterns that I enjoy stitching. This will definitely be my next big cross-stitch project.